"Disclaimer: I received free entry to the Hospital Hill race as part of being a BibRave Pro. Learn more about becoming a BibRave Pro (ambassador), and check out BibRave.com to review find and write race reviews!" I know I'm a little late this week but Monday's post was dedicated to a documentary that I hope you all went to see! 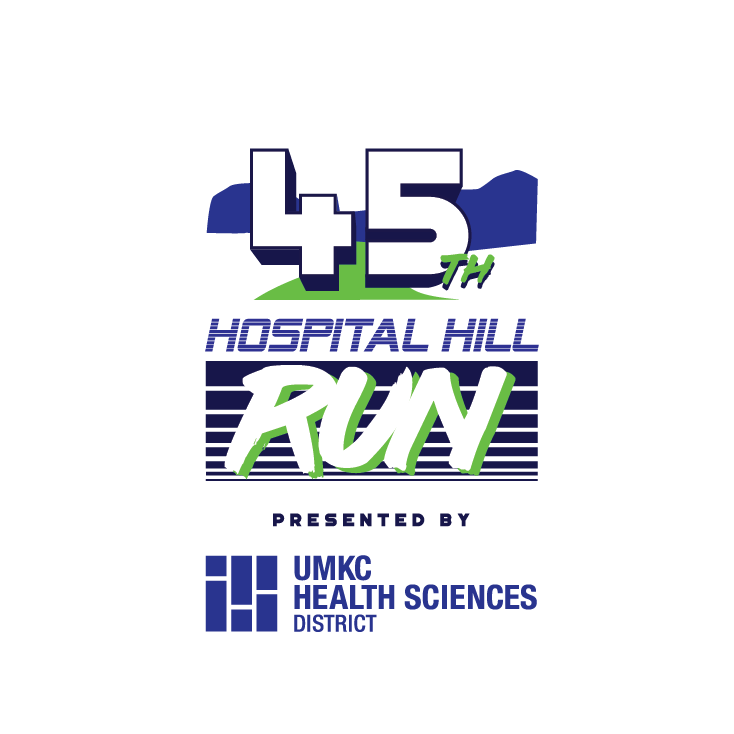 Let's jump right into week four of Hospital Hill training! The Reality : The boys had their end of year celebration for school! They both "graduated" to the next grade at their preschool, it was so cute! I'm excited for the Summer but sad that they are moving on from their current teachers. Thankfully, Charlie, will have the same teachers that Oliver had this year so at least we get one more year with them! Next year will be Oliver's last year in pre-school before moving on to Kindergarten! I don't know if I'm going to handle it all that well! The Plan : 1-2 mile warm up. 9-10 x 60 second hills, jog in between. 1-2 mile cool down. This was a fun workout, I usually dislike hills but for whatever reason I was enjoying the hill repeats! I remember dreading the workout beforehand but it was a pleasant surprise! Had about an hour to run so I figured something was better than nothing, not wanting to add another rest day to the mix I got on my treadmill and got it done! The Plan : 1-2 mile warm up. 3 x 2 mile reps (mile 1 @ 9:19 - mile 2 @ 8:59) jogging 3 minutes in between. 1-2 mile cool down. Not going to lie, I was SUPER nervous about this workout. I had jitters the entire night before and day of, it was worse than some races I've ran! Those times seemed a little daunting to me but I was able to do it, I surprised myself with this workout, it was not easy but I proved to myself that I was able to do it! The Reality : I took the day off. 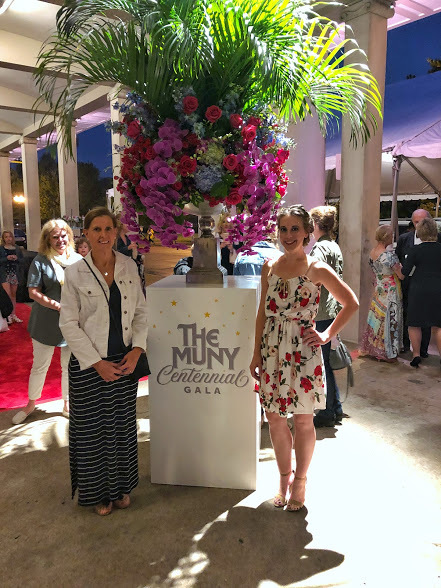 I had plans to go out with my Mom and one of her friends that evening to see the Muny's 100th Anniversary Show! It ended up being rained out so we had to do it all over again on Saturday evening but we still got all dressed up, went out to dinner and did the whole thing! The Reality : Again, another rest day. 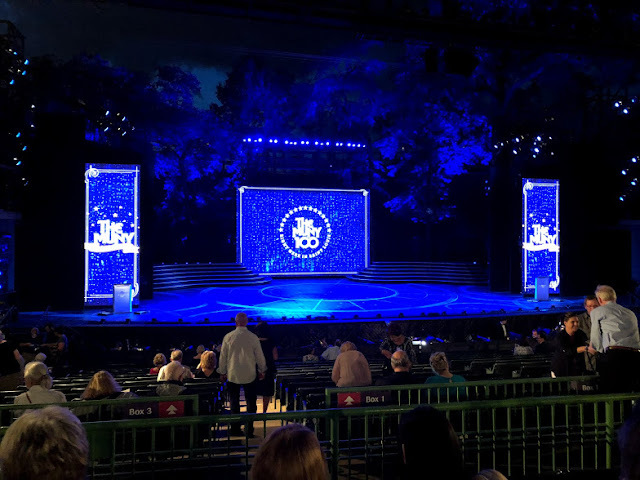 I hadn't planned on it but after such a late night Friday, then I woke up SUPER early to watch the royal wedding, because I mean I just had to, and knowing I was going out AGAIN this evening for round two of the Muny. I was tired and had a pretty important (at least for me) 5K Sunday morning and I didn't want to wear myself down too much. However that evenings show had 2 decent rain delays, starting at 9:15 already had me getting home late, add in that time, I didn't get home until close to 1am. By the time I got ready for bed it was close to 2, one of our dogs wouldn't stop barking so between me trying to figure that out and A's phone going off from email alerts, It was about 3 when I got to sleep. I had to wake up at 5 in order to make my 5K on time on Sunday. Cue the panic attack due to lack of sleep! This was such an awesome 5k, we ran through the St. Louis Zoo. I had planned to get my first official under 30 minute 5k. I was exhausted but wanted to prove to myself I could power through. The first mile I did in 8:51, then I paid for it during the rest of the race. Knowing I was tired and shooting out of the gate so fast in order to prove to myself that I could overcome my fatigue was such a bad idea. The course was beautiful, the race was well organized so other than my own silliness and poor choices the race was a HUGE success! I also got to run it with my bff and Mom, so there's that! This week was pretty successful in my opinion. I got my speed work in, so even though I didn't hit that long run in its entirety I'm okay with it. I've got the miles, I know I can run the length of the race without issue, it's really just my speed I'm working on. Making sure I hit those workouts is the most important thing to me going forward during this training cycle! To refresh the code is BIBHHR18 for 20% off!!! I hope to see you all next weekend in Kansas City! 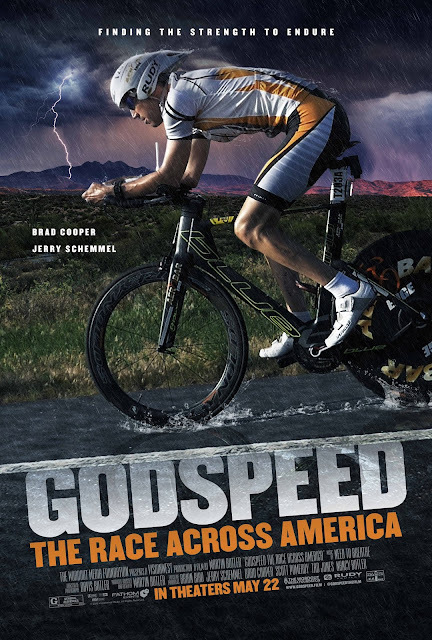 "Disclaimer: I received a special preview of GODSPEED - The Race Across America as part of being a BibRave Pro. Learn more about becoming a BibRave Pro (ambassador), and check out BibRave.com to review find and write race reviews!" That's the word I would use to describe this documentary, absolutely captivating. I have never been so moved by a documentary before. I really wasn't aware of what I was getting myself into so I cuddled up on my couch and went in with an open mind. From the start I fully grasped the idea of what these two men, Jerry Schemmel, noted author, speaker and sportscaster for the Colorado Rockies and Brad Cooper, a four-time Iron Man triathlete (source), were doing. They had formed a 2 man team to bike across America to raise money for the orphans of Haiti. I'm so passionate about running or doing any endurance sport in the name of a great cause and this absolutely took the cake in my opinion. This journey, covering 3,000 miles of deserts, pedaling 168 hours non-stop across 12 states from the Pacific to the Atlantic Oceans (source), is no small feat. These men are superheros in my opinion, embarking on this journey for someone other than themselves is beyond admirable and touching! I was immediately entranced in their journey, the hardships that they had to overcome in order to complete this race was astounding, from the heat to severe storms across the country it's incredible what the human body is capable to withstanding. Not only were these two men competing in this race they also had their crews along for the ride the entire time. Their team, Enduring Hope, rode in vans and cars following these men, picking them up after they switched riders, making sure they were properly fueled and rested the entire seven day journey. Their team also made sure to communicate among each other and make the best decisions when it came to the well being of their riders. The dedication these individuals had was inspiring to say the absolute least. So now that I have talked your ear off about how incredible this documentary is, it's time to share how YOU can go see it on the big screen like I will be, this Tuesday, May 22nd! CLICK HERE and find a theater near you that is showing this movie FOR ONE NIGHT ONLY, MAY 22nd! PLEASE consider going to see this film tomorrow night and let me know if you do, I'd love to start a conversation surrounding this documentary!